The Indianapolis Colts are falling apart at the seams. 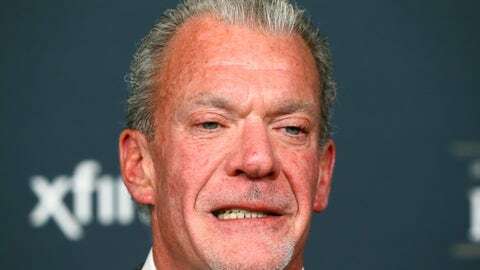 So, it’s not surprising to hear that owner Jim Irsay and general manager Ryan Grigson reportedly got into a “heated conversation” in the locker room on Sunday after the team lost 27-21 to the two-win New Orleans Saints. This news comes by way of Zak Keefer of the Indianapolis Star. The argument wasn’t specifically transcribed, but Keefer notes it likely stems from the fact that a team with so much talent is performing at such a poor level from week to week. Grigson spent some decent cash this offseason to bring in veterans Frank Gore, Andre Johnson and Trent Cole. He also made some questionable moves in the draft — none more eye-popping than his selection of receiver Philip Dorsett, who hasn’t been much of an impact player. Keefer also reports head coach Chuck Pagano gave “an impassioned speech” to his players following the embarrassing performance. No speech can fix what’s broken in Indianapolis. Pagano has been on the hot seat since before the season, and if we’re being honest, he should just be let go at this point. 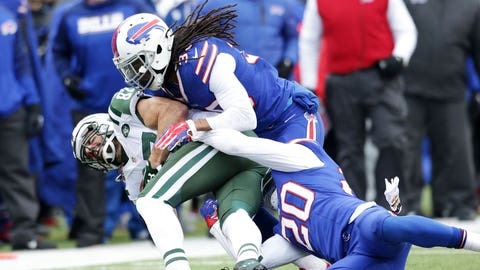 The team isn’t playing together, the franchise quarterback is regressing and hasn’t been protected with a decent offensive line since he came into the NFL as a rookie, and the defense is too often a veritable sieve at the worst possible time. Irsay should be angry. And, if he decides to fire Pagano, then Grigson needs to go, as well. Poor personnel decisions have been covered up in recent past because of Luck’s brilliance, but now that he is banged up and struggling, the entire team looks atrocious. More and more it seems the 2015 Colts are this year’s 2014 San Francisco 49ers. Things are getting worse by the week, and it might not be long before Irsay finally makes some bold moves.